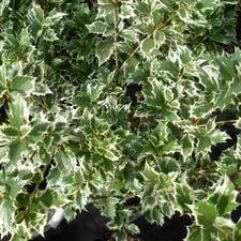 This evergreen shrub has green holly-like leaves. 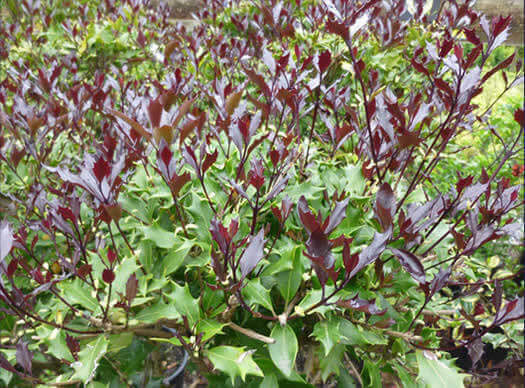 The new spring growth is purple in colour. 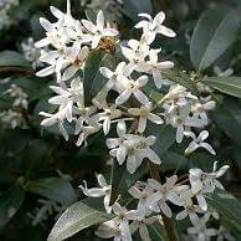 White clusters of perfumed flowers appear in autumn to winter. 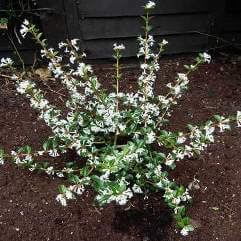 Good for cut flowers, hedge or specimen.